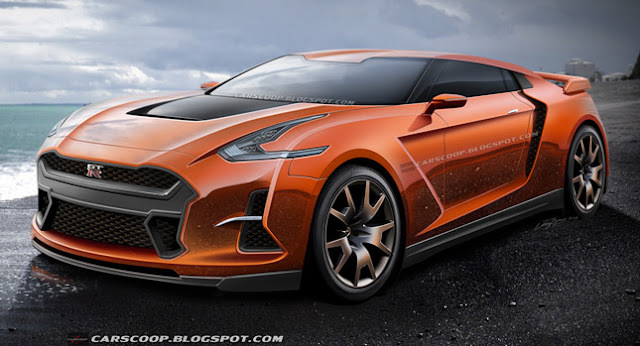 Carscoop has rendered what they think the 2017 Nissan GT-R will look like. The front looks really heavy. A little too much emphasis there. The roof and roof line looks like a little bit of a cut down current car. The belt line is high, but the roof is low. The roof itself has a pronounced lower section in the middle, similar to what we are seeing on some other current cars. I am no Aerodynamicist, but I know a few, and it seems like this render might be going backwards from an aero standpoint. The rear air vents might be able to be used for cooling the transaxle, or the brakes, but it really doesn't need that much air to the back. Its a front engine car, not a mid engine car. The front is very wide, with a lot of opening. Good for cooling, bad for aero. 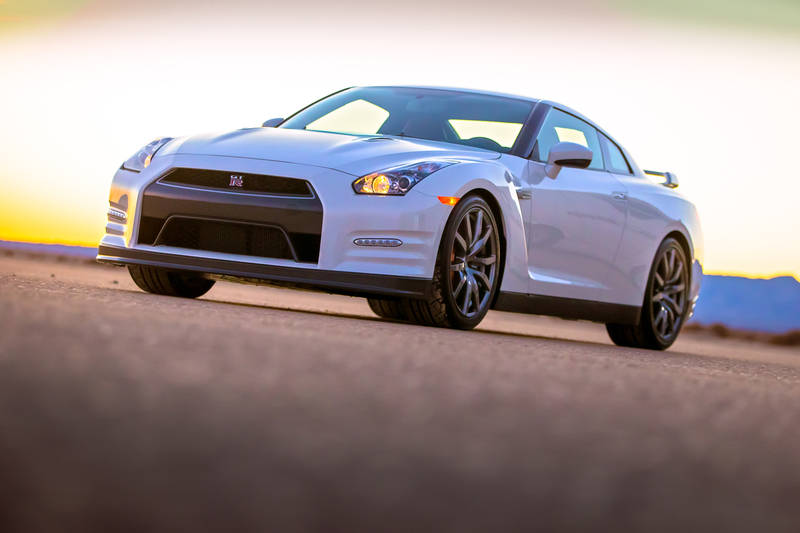 Hopefully some of those grills are used to cool the brakes, one of the R35's weak spots. It feels Jaguaresque in the front. For example, the grille has evolved from a simple-edged opening into an multi-curved shield graphic. This is aided by large side intakes incorporating DRL's, with outer character lines sweeping over the front wheel arches. The headlights are a more radical take on Nissan's current design theme; the angular details and graphics make a statement against the more mainstream headlight affairs. Whilst the cabin greenhouse carries similarities with the current car, the roofline has been massaged - now incorporating driver and passenger domes for increased dynamic vibrancy. The angled, vertical vent behind the front wheels has been re-formed; now with a character line spreading back into the rear air-intake scoop. This area in the current car is rather flat; so to increase visual impact, the outer edge of the rear vents float over the bodywork, leading up into the roofline. Head over to Carscoop and let them know what you think.